The ceremony will be held at Big Valley Gym in Bieber. The address is 400 Bridge Street, Bieber, California. All members of the public are invited. People are welcome to bring a special note or card to include in a book that will be compiled for Dr. Dahle. 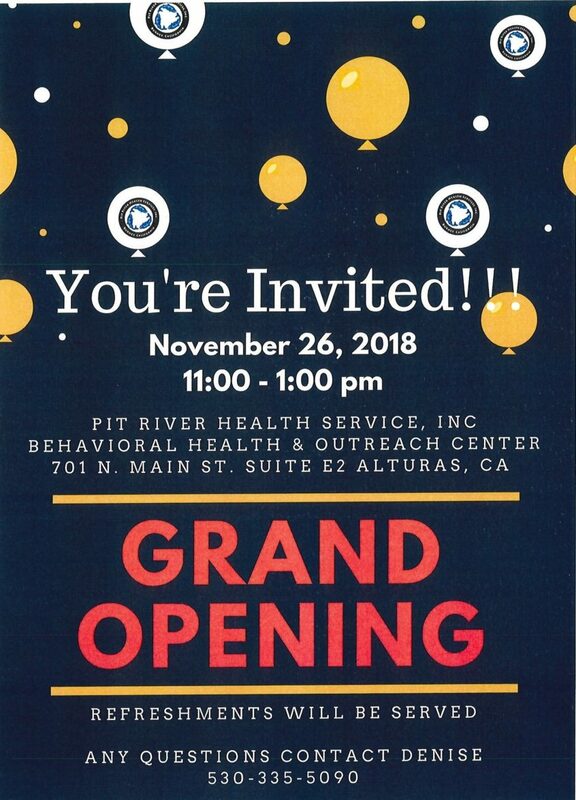 Pit River Health Service, Inc. (PRHS) will be holding a Grand Opening for a new behavioral health and outreach center in Alturas on Monday, November 26 from 11 a.m. to 1 p.m. The public is invited to attend. Refreshments will be served. For more information call Denise 335-5090. Pit River Health Service, Inc.(PRHS) is a non-profit ambulatory health clinic established in 1979. 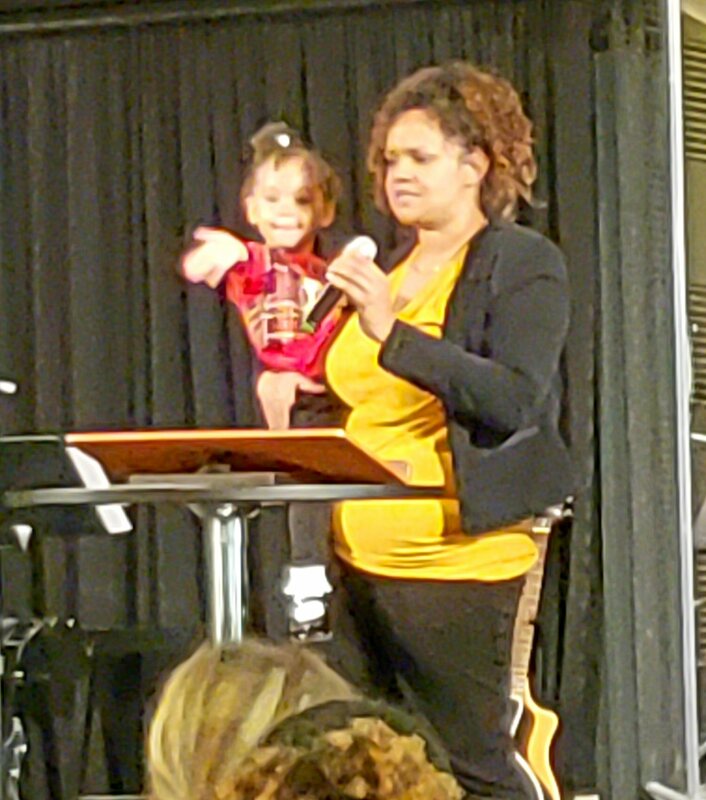 The purpose of PRHS is to serve the community with a primary focus on the Native American population. PRHS offers medical, dental, and behavioral health services, as well as providing transportation, outreach, and senior nutrition services. 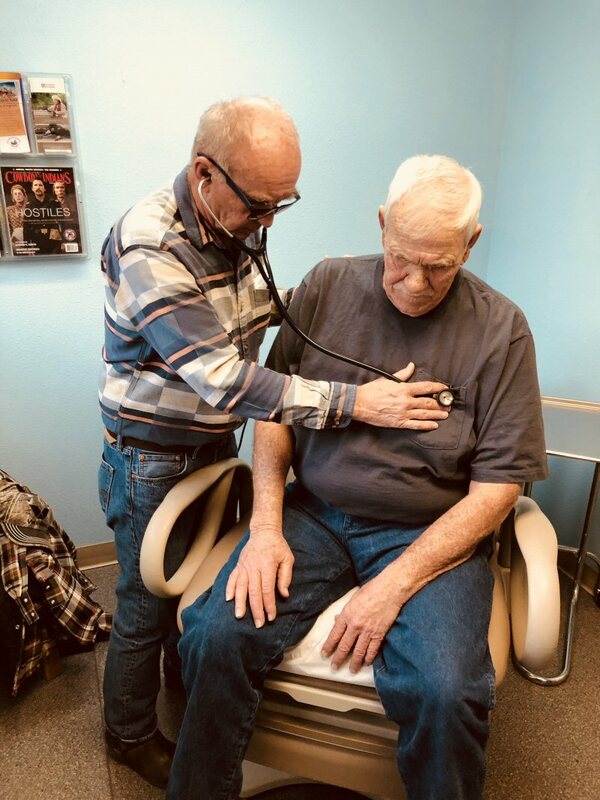 PRHS has two clinics, one is located at the base of the Burney Mountain in Burney and the other is located on the Pit River Tribal reservation in Alturas. The clinics are open to Native and non-Native patients and accept Medi-Cal, Partnership, Medicare, and most private insurances. It’s important residents take the appropriate measures to protect their health and lungs as wildfire smoke from the Camp Fire is entering Shasta County due to decreased northerly winds. 1) Limit exercise and outdoor activities. 2) Remain indoors with the windows and doors closed. The AQI readings from the fixed monitor are updated hourly and are available at the following website: www.co.shasta.ca.us/index/drm_index/aq_index/aq_map.aspxAdditionally, the air district has deployed experimental particulate matter (smoke) sensors throughout Shasta County. These sensors are not official monitors but can be used to help gauge smoke levels in particular locations. When accessing this data, it is advisable to switch the Map Data Layer dialogue box in the lower left hand corner from “None” to “AQ and U”. This will apply a correction factor that will make the readings relate more closely to the official air quality data. They can be accessed at: For additional information and updates, you may visit the Air Quality Management District Wildfire Smoke Webpage at: https://www.co.shasta.ca.us/index/drm_index/aq_index/aq_wildfire.aspx or call 225-5674. 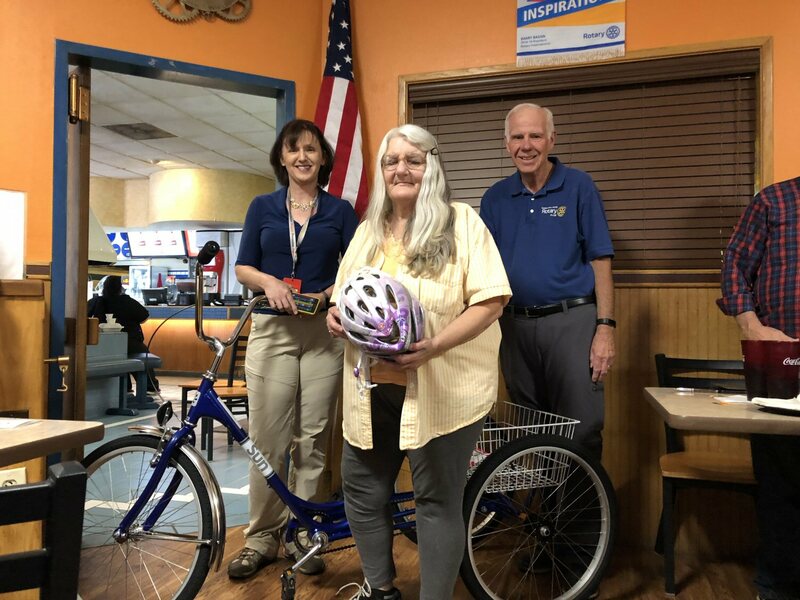 Bill Campbell and Lisa Barry presented Johnson Park resident Shiree Hardman with a tricycle as part of “2 Wheels 2 Mobility,” at the September 13 meeting of Rotary Club of Burney-Fall River. 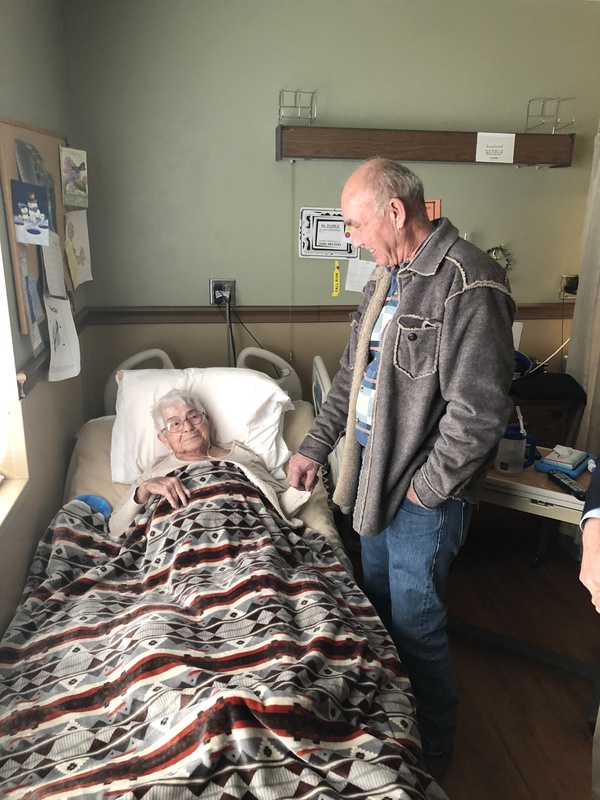 “It was like Christmas,” Hardman said, describing her excitement and gratitude. “2 Wheels 2 Mobility” is a program of the Burney-Fall River Bicycle Association that provides individuals without motorized transportation a refurbished bicycle. Rotary Club of Burney-Fall River funds the project supplemented with private contributions. Dr. Henry and Fran Patterson donated three helmets and locks. Hardman desperately needed personal motorized transportation. Her ability to walk long distances was inhibited by several illnesses. Getting to the grocery store was a challenge. Community Organizer Lisa Barry, who works for Shasta County Health and Human Services, contacted bicycle association president Bill Campbell about Hardman’s situation. Knowing a tricycle assured Hardman’s stable balance when riding, they attempted to find a used tricycle. 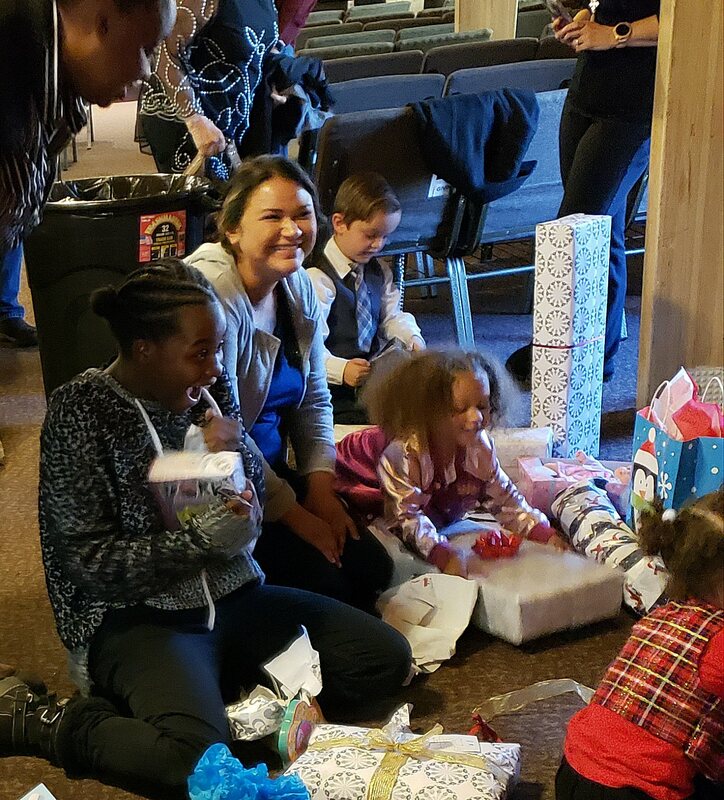 After a fruitless search, they purchased a tricycle from project partner Redding Sports, LTD, who generously discounted the cost. Hardman is the second “2 Wheels 2 Mobility” recipient. Shasta County Health and Human Services and Burney based Tri-County Community Network help identify and screen applicants. Individuals without personal transportation who are interested in receiving a bicycle should contact either of the Burney-based social service agencies.